Energy Savings Week may have been and gone, but it doesn’t mean we should stop being energy conscious! So, we’ve had a scout around to find you some of the latest and hottest energy saving gadgets around. Here’s our top five. Did you know we waste £1.3 billion a year by leaving things on standby? That’s an average of £85 per year, per household according to Energy Saving Trust. To combat this there are new plug sockets available that turn off all electrical items fully at the press of a remote control; in some circumstances it is just your TV controller. This means, press the off button on your TV remote and it will turn off all gizmos plugged into the clever little socket. Examples of this include the Standby Buster plug that is recommended by the Energy Saving Trust. The other brilliant button available on the market that is great for people who work in offices is the EcoButton. Winning the Environment and Energy Award in 2009 at the Energy Product of the Year competition, the EcoButton is a superb energy saving device for your computer. Press the big green button and it will turn your computer to its most economical mode; simply move your mouse or press a button on your keyboard to revive your computer. The EcoButton only costs between £5-10 and would pay for itself in 3 months. It also has the ability to tell you exactly how much you are saving it time you use it and a running total, justifying this purchase. This is quite an interesting, helpful device that not only removes the pain of bleeding radiators, but it automatically releases the trapped air that can build up in radiators. When air builds up in a radiator it reduces its efficiency and costs you more to heat your home. 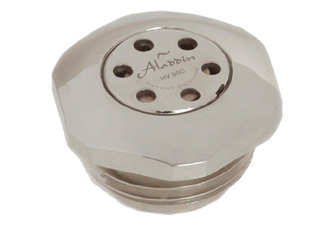 No air means you are only heating water and therefore you use less energy. One of these little bleeders costs between £10-£21 so it is not extortionate and will pay for itself quite quickly. You may think this isn’t very eco-friendly, but by having rechargeable batteries and a smart charger that doesn’t over-charge, damage batteries and waste energy, can save you a lot of money each year. Which? claims that you can save up to £500 over 100 charges, which is fantastic value and is an investment with a super return. How can you save energy and money if you don’t know how much energy you are using or how much money you’re spending? A recent survey we carried out suggested that three quarters of Britons don’t know how much we are spending on our energy bills, which is going to make saving money harder! Which?’s ‘Best buy’ monitor only costs £30, but it can save you up to £75 a year by letting you know exactly how much energy you’re using (as long as you do something about it). 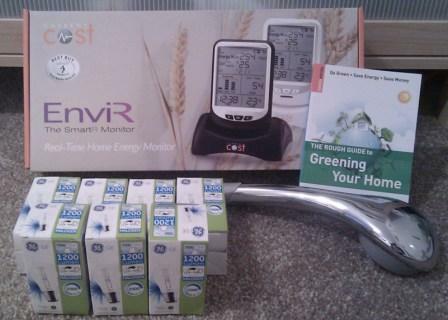 Abbie Clarke, otherwise known as Mrs Energy Saving, won an energy monitor in one of our competitions last year and she has seen the benefits first hand – she even wrote a blog about it. It can become an obsessive behaviour, constantly checking to see how much energy you’re using, then going round the house turning things off to see how this affects your usage. This isn’t a bad thing, it simply means we are more aware of what we’re using and how to use less. Many energy companies are now creating apps so you can track your energy usage more closely, as well as giving you some handy energy saving tips along the way. I tried out the Npower app not so long ago and found it quite informative and helpful, so see what your company has to offer. The other way mobiles are helping us save energy is by allowing us to control our thermostat from anywhere. Smart thermostats like the Nest are growing in popularity, proving ever so useful to control easily adjust the temperature, the time the heating comes on and gives you the power to turn it off from anywhere in the world, whenever you want. 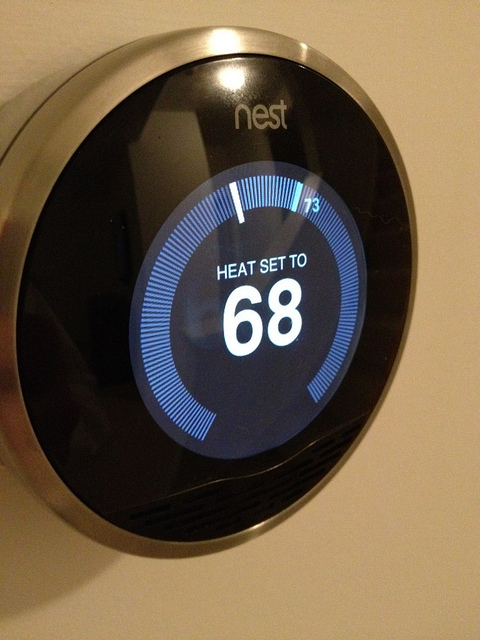 Smart thermostats like the Nest are not called smart for no good reason; they learn your heating habits over time and can compile a schedule to suit your needs. By doing this it will save you money on your heating bills as you won’t be using it unnecessarily, so another investment well worthwhile. Energy companies have just put their prices up yet again, so it is up to us to change the way we live if we want to save money. If you can use some of these gadgets to do this, then you it is money well spent.